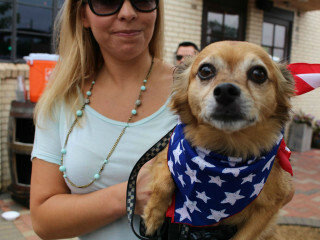 Photo courtesy of Dallas Pets Alive! Match.com and Community Beer Company will present a North Texas Giving Day celebration as they team up to #FindYourMatch for pets that are available for adoption. Community will donate $1 for every beer sold during the party. There will be a special event for Match.com users, raffle prizes, adoptable pups, Mamita’s Food Truck, and more.